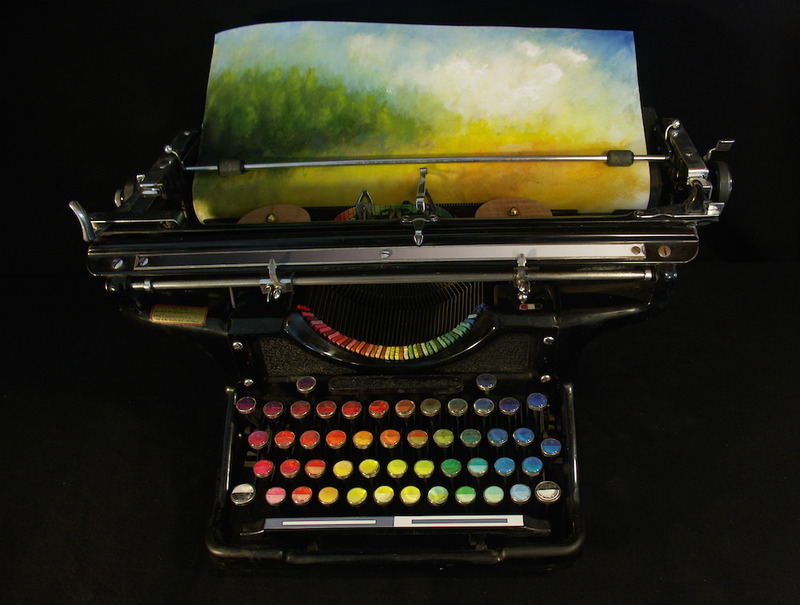 The thought of fusing typewriters with paint first came to Tyree Callahan while he was putting the finishing touches on a watercolour painting. 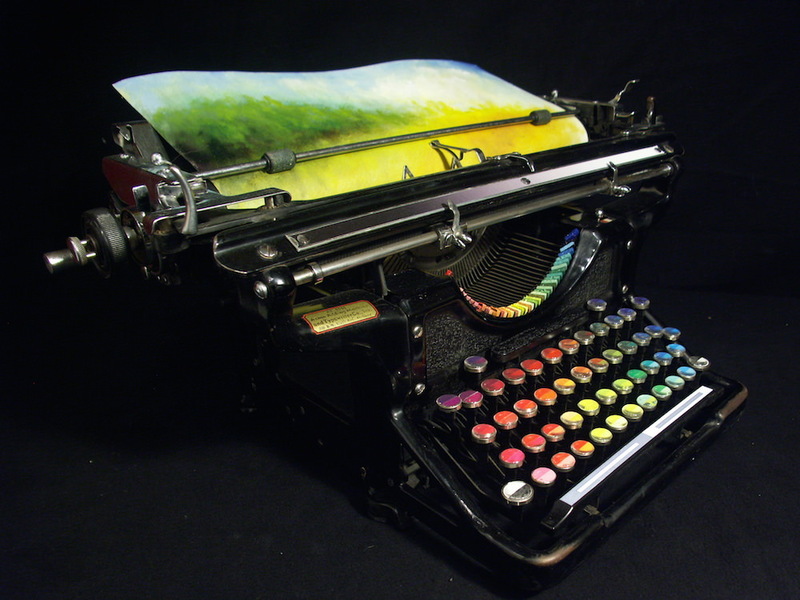 He decided to feed this watercolour through an old Olivetti typewriter in order to add text through the painting, and this action suddenly inspired him to transform a 1937 Underwood Standard typewriter into The Chromatic Typewriter that we see here. 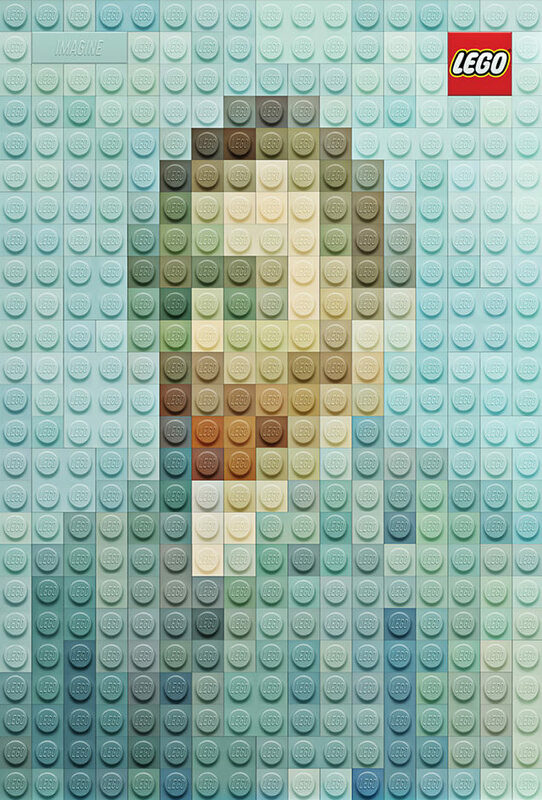 It’s worth noting that this is merely a conceptual piece and isn’t really a practical method for the creation of paintings. Callahan points out that he has only managed to produce a ’short paragraph’ with his chromatic typewriter as there are — as you might expect — a number of limitations when it comes to typing out a painting. 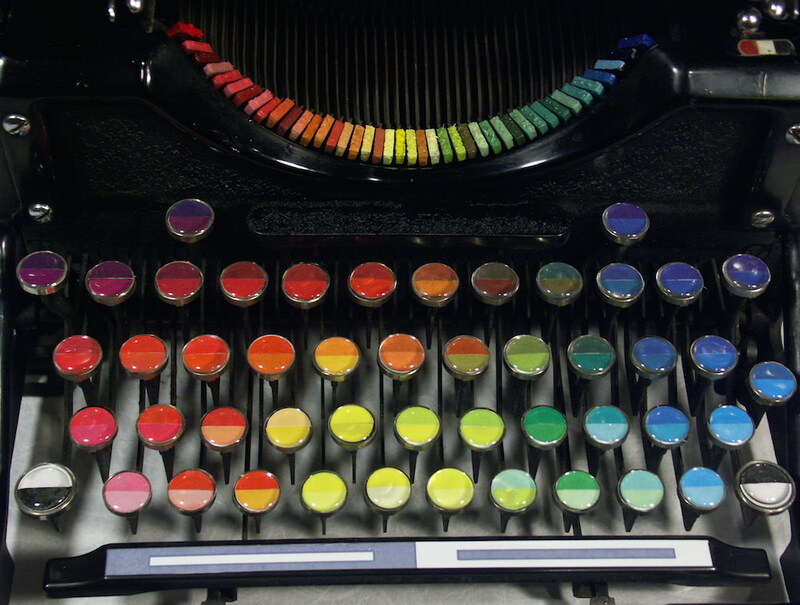 The mapping of the hues to the keys was derived from a HTML colour palette but the close proximity of similar colours did have some practical implications when it came to typing them. 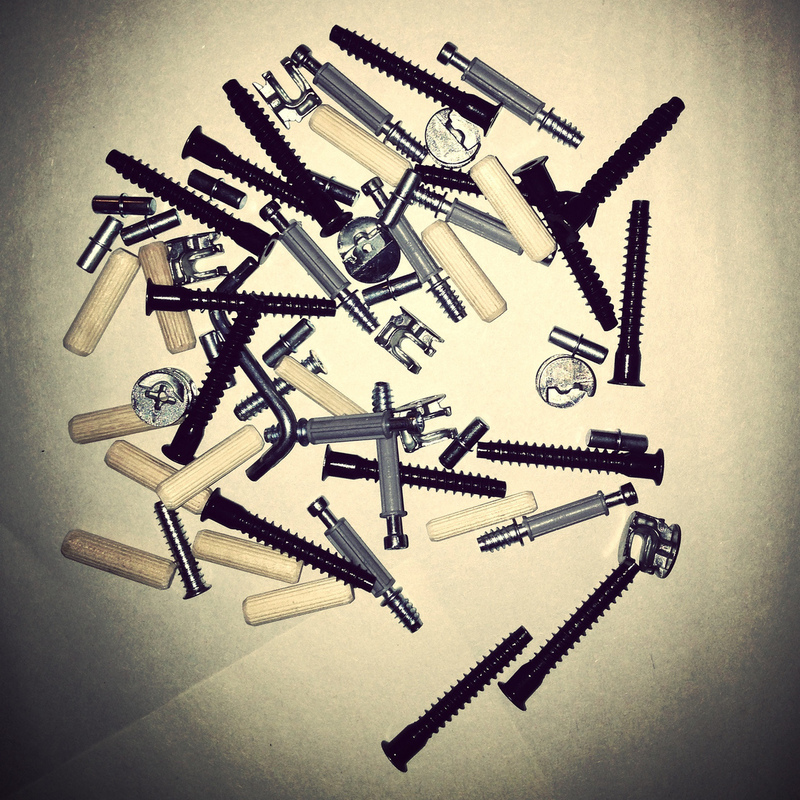 The QWERTY key layout is arranged thus that letters often typed after each other are positioned far apart to prevent key jams. 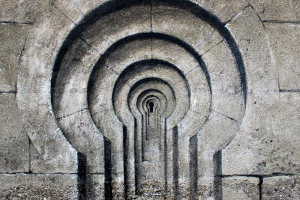 When he set out on the project, Callahan wasn’t aware of the reason behind the QWERTY key arrangement (that is still found on keyboards to do this day) and as a result it’s difficult to paint a fluid progression of colours without jamming. 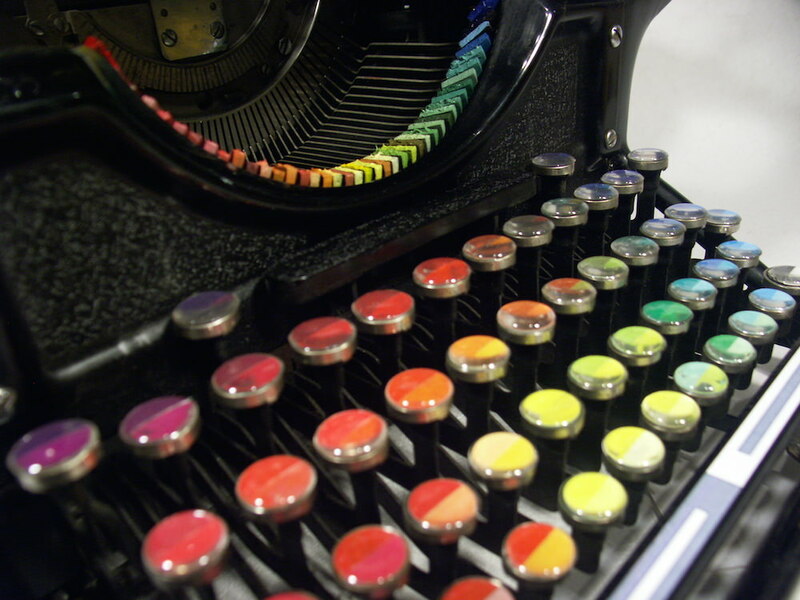 Loading the typewriter with paint also proved to be an impractically tedious task with each key needing a different colour soaked into what appears to be sponge-like typebars. It could have been an option for small blocks of oil pastel to be loaded as typebars instead although you’d need some pretty strong fingers to leave a mark. Despite The Chromatic Typewriter not being all that practical, it’s a beautiful object nevertheless that can be appreciated for its concept and visual execution alone. 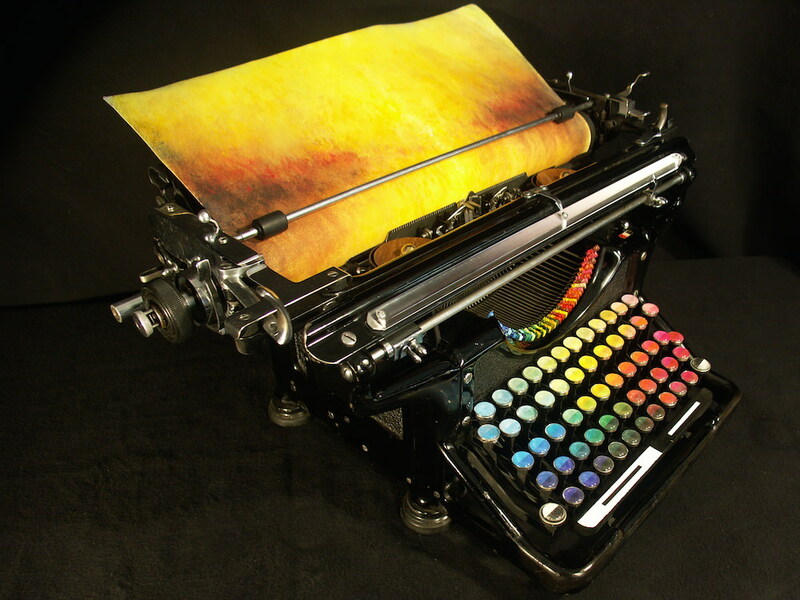 The Chromatic Typewriter looks as though it would be ideal for impressionist paintings (particularly in the field of pointillism) as each ‘brushstroke’ will of course be letter spaced. 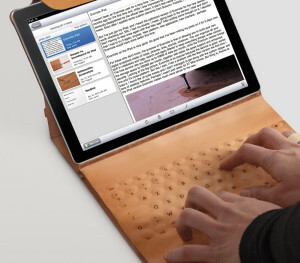 Read an interview in which Tyree Callahan talks about his Chromatic Typewriter on Gizmag here.